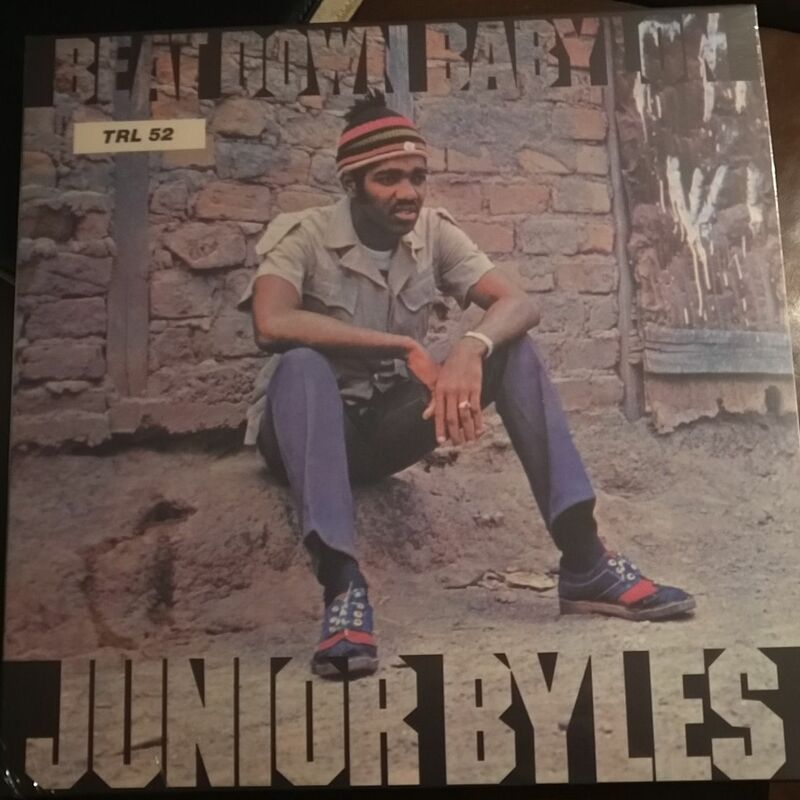 ​​​​​​​Trojan reissue Junior Byles and Lee Perry's classic Beat Down Babylon. Released in 1972, the album, centred around the two local hits Beat Down Babylon and A Place Called Africa, contains a series of mostly thoughtful, socially conscious songs and sets the scene for the roots Rasta explosion that occurred in Jamaican music in the following years. In recent years it has come to light that the title track was actually a version of an original song that appeared on a 45 issued in Canada by the totally obscure Harold Meikle & The Tropical All Stars, that Perry somehow heard and brought to Byles to record. Perhaps the most effective song on the album is A Place Called Africa, a heartbreaking song that portrays Byles as a child asking his mother about his origins in Jamaica, still affecting even after all these years. Clearly a sensitive soul Byles' later years are a tragedy of mental disarray and artistic evaporation. Here he is in front of the pack and crucial.